Yes, it sounds kind of funny, but hear me out. Vinegar cocktails are also called “shrubs” and they’ve been around for more than a hundred years, though not very common. They have fewer calories than regular cocktails and contain healthful probiotics, an added bonus. My favorite method is to make them with fruit juice, raw honey, raw apple cider vinegar, and sparkling water. Lightly warm the fruit juice on the stove (about the same temperature as a baby’s bottle), stirring in the honey until it is completely dissolved. Cool completely before adding vinegar (you don’t want to kill the probiotics). Store in your refrigerator in a covered jar. When ready to make your drink, combine 1 part shrub mixture with 3 or 4 parts sparkling water, and pour over ice. Garnish with fresh fruit (a slice of orange, or a strawberry slit and perched on the edge of the glass looks nice). If you look online, you will find dozens of variations using different ingredients, and many that include wine and/or alcohol. I don’t add alcohol to mine, it defeats the purpose of having a refreshing, festive, healthy, probiotic, energy drink. The origins of these concoctions date back to the Colonial era. Want more? Click here for some homemade energy drink recipes. 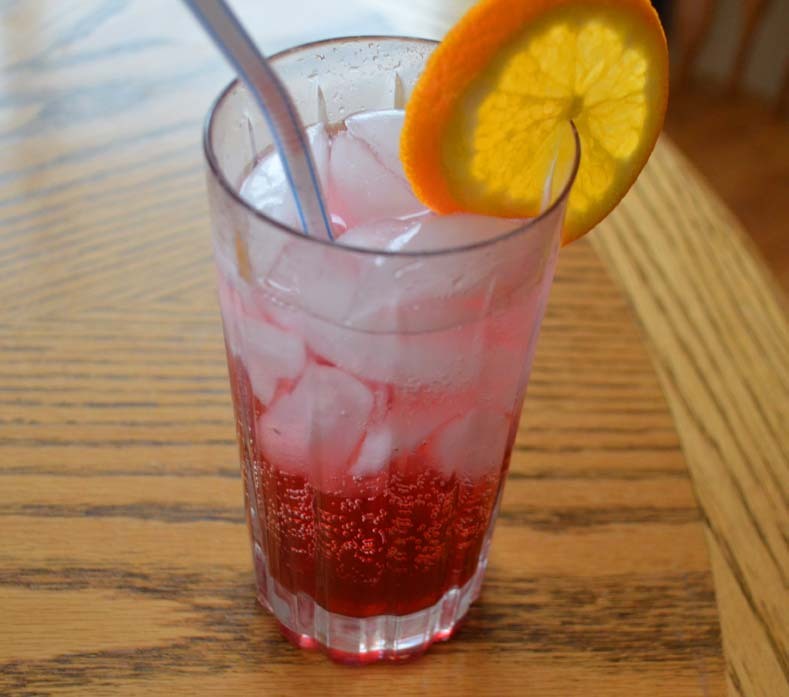 This entry was posted in Cooking Light, recipes, WEIGHT LOSS and tagged aronia berry, healthy drinks, probiotics, shrub, substitute for alcoholic drinks, vinegar cocktail. Bookmark the permalink. Interesting… My wife and I have limited our alcohol to wine with meals occasionally. I have bookmarked this.